Amazing save the datesI was worried about ordering my save the dates online not knowing how they would show up, but NewandBlue made my worried disappear! My magnets arrived super fast and looked amazing! Made from good material and exactly what I wanted! Will definitely be Referring them to friends and be ordering more stuff for my big day! 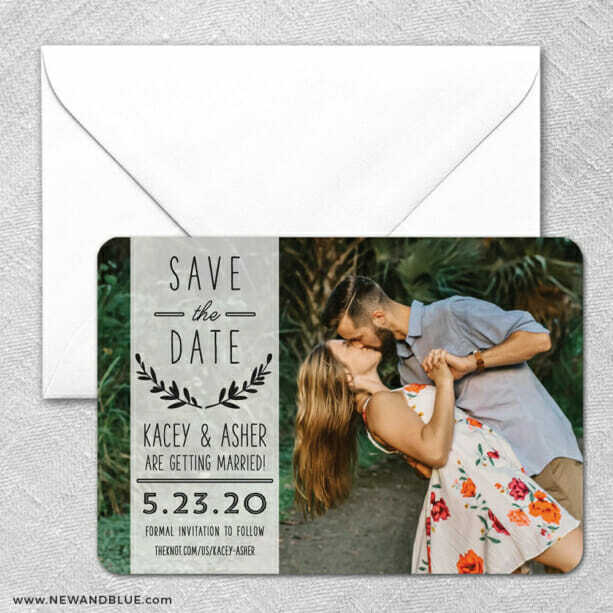 Gorgeous, customizable Save the DateThe quality of these save the dates is unbeatable. We loved how customizable the template was, as well as the shimmery finish on the magnets.